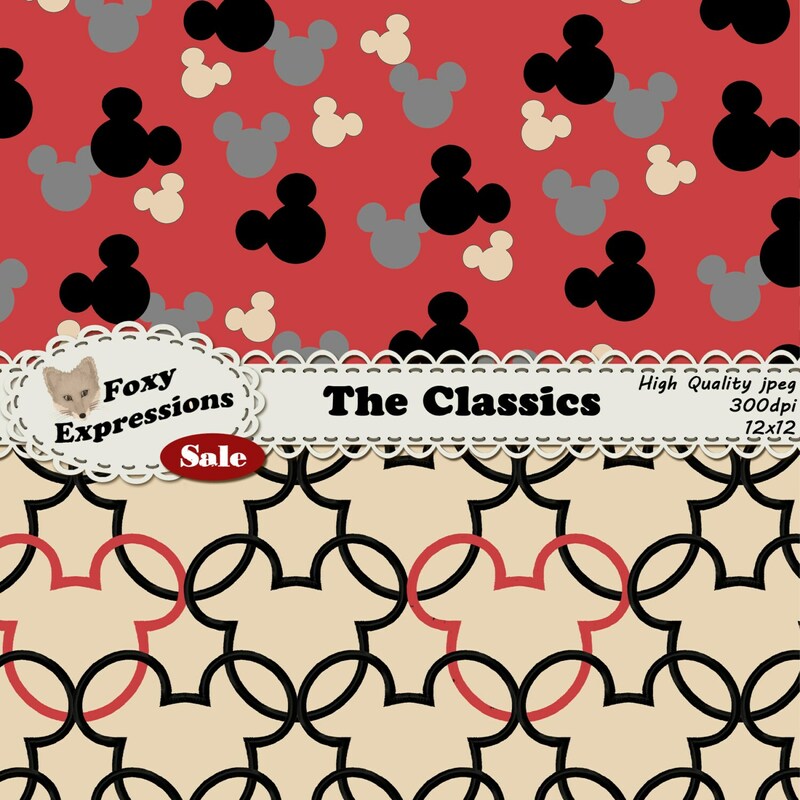 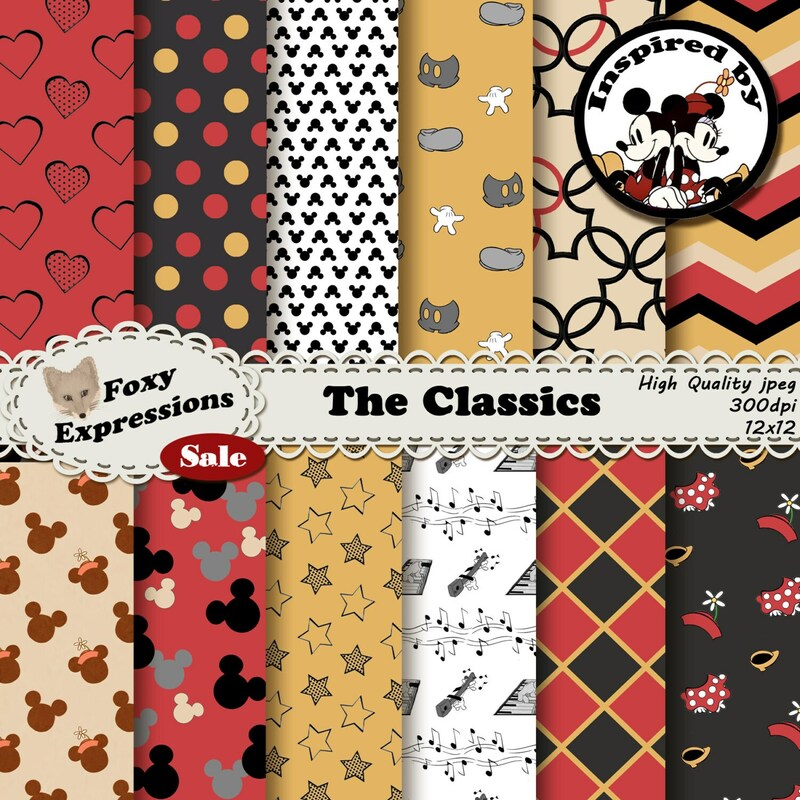 The Classics inspired by vintage mickey and minnie mouse. 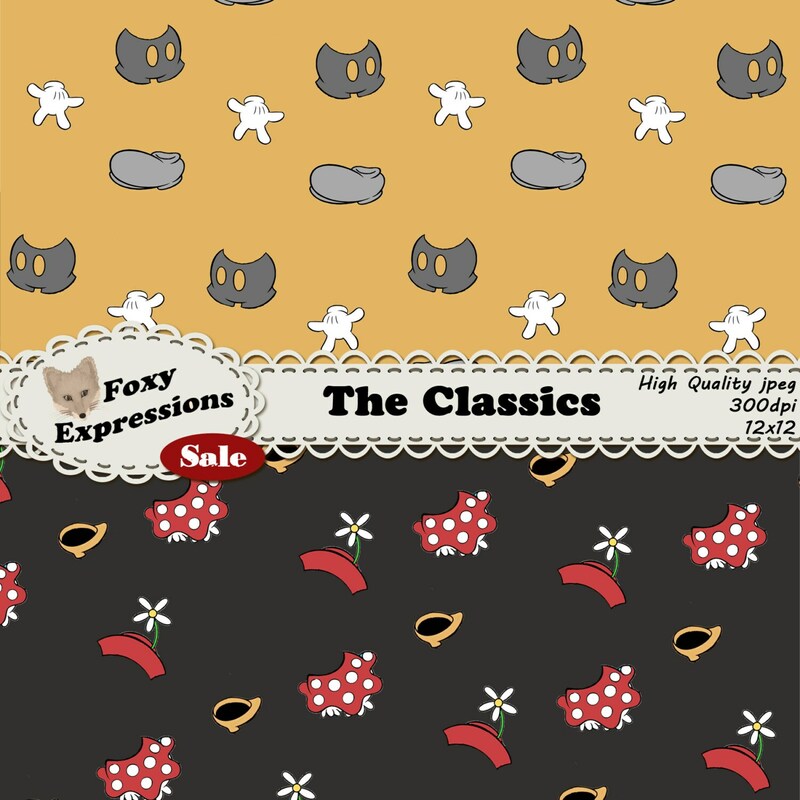 The pack comes in faded yellows, reds, blacks and cream. 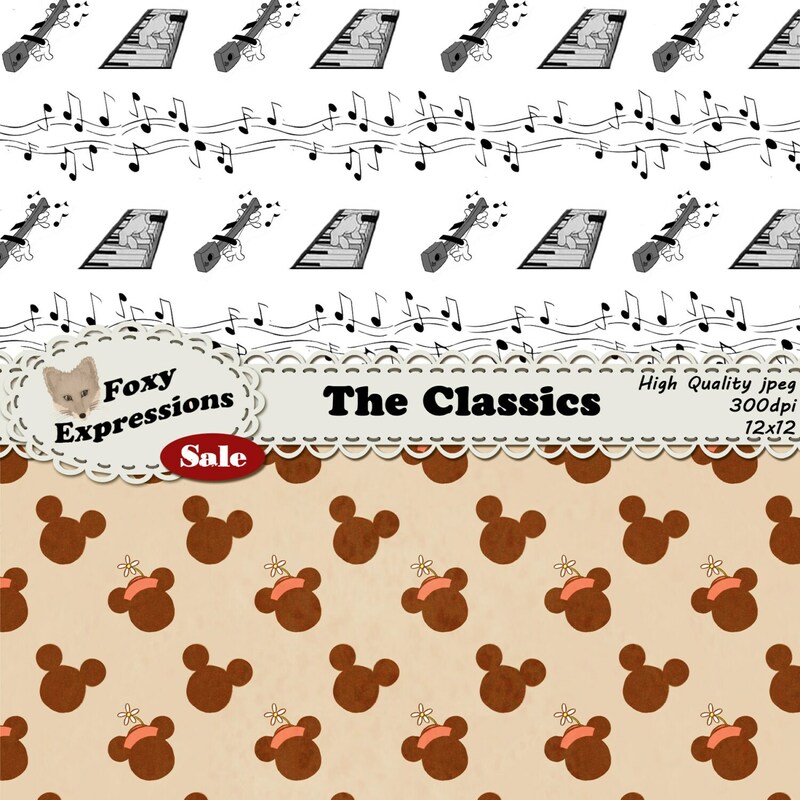 Designs included mouse heads, ears, hands, shorts, hats, music notes, instruments, shoes, hearts and stars.